...In fact, on the transcontinental main line, the steepest grade is the Lake City Hill in Burnaby and the Grandview Cut on the New Westminster Sub. Wow, interesting. Thanks for the hard to believe facts; they don't say that you learn something new everyday for nothing. Thanks for that explanation! I am surprised that the biggest hills are right here too. I thought the Yellowhead pass would be the steepest. That is the same as when Rick Hansen did his Man in Motion tour. His steepest grade to go up was coming out of Port Moody where Clarke Road goes upto North Road. 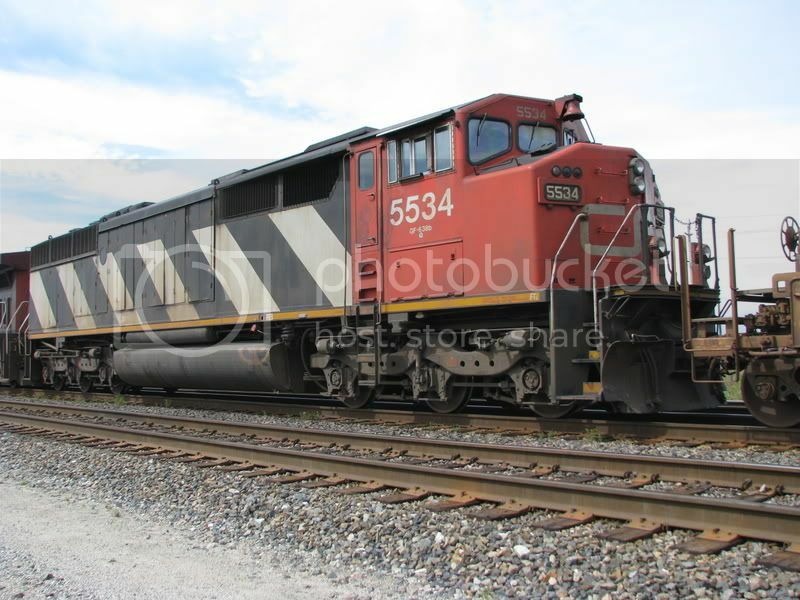 I heard CN just laid off 50 conductors/switchmen in Vancouver. Though it does not mean they're laid off for good, they could be recalled next week. CN is advertising in our local paper for conductors jobs based out of Terrace to work both the Skeena & Kitimat Subs. I think they are expecting the number of trains operating between Terrace & Rupert to rise from 3 or 4 to 5 or 6 each way per day. Yeah they just hired more for Vancouver as well. CN will probably finish training them, and then lay them off. Hard to tell with the BC North lines though. If I remember correctly, except for PG CN hasn't hired as many people as they did on the BC South lines over the past 3 years. 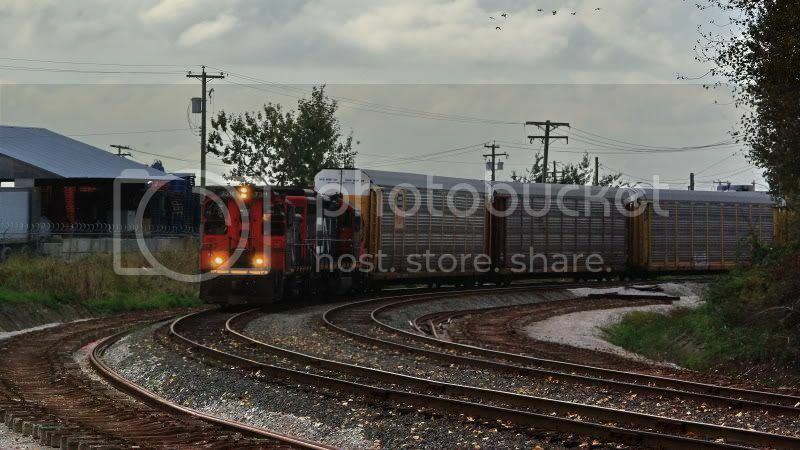 Maybe CN will force some of the laid off people down here to go up to the BC North. Traffic down here has taken a big hit with the current state of the forestry industry, the rising prices on grain, and of course fuel costs. CN has canceled at least 10 regular assignments in Vancouver. I've heard though that those CN has laid off, have been put on a training/familiarizaton board. CN doesn't want to risk loosing them to other railroads or other jobs. For those wondering, the BC North is the ex-Grand Trunk Western from Jasper to Prince Rupert and the ex-BC Rail north of Lillooet. BC South is the former Canadian Northern Pacific from Jasper to Vancouver and the ex-BC Rail south of Lillooet. 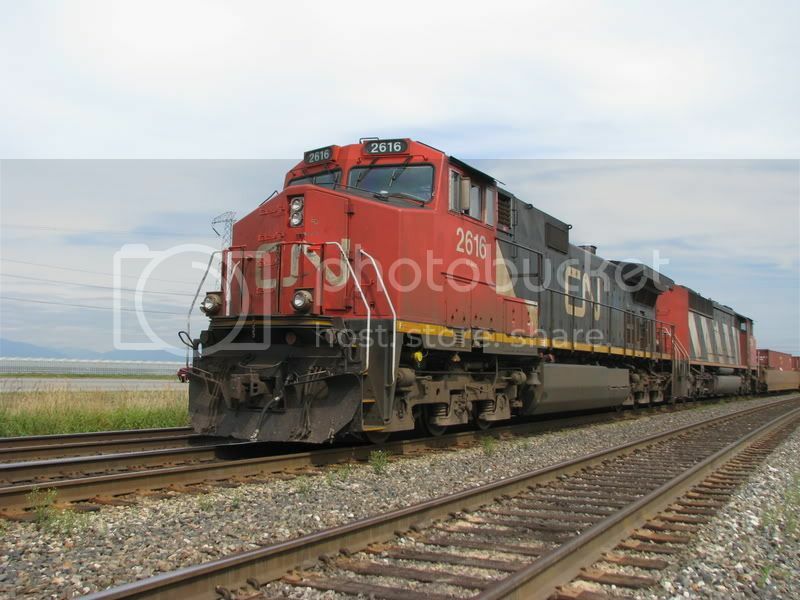 Just a small point, the CN lines in northern BC consist mainly of what was built as the Grand Trunk Pacific (GTP). The Grand Trunk Railway of Ontario & Quebec decided in about 1900 that they wanted a share of the western traffic that was proving so lucrative for the CPR. They entered an agreement with the Government of Canada under Prime Minister Wilfred Laurier. The Grand Trunk created a subsidiary (the GTP) to construct a mainline from Winnipeg to the Pacific Coast at what became Prince Rupert. The federal government agreed to build the National Transcontinental from Moncton to Winnipeg via Quebec City. Once built it would be turned over to the GTP] for operation. Both lines were completed by about 1915. The maximum gradient on the entire 6000 km of track was 0.4 percent (versus up to 2.5% on CP's main line). Gigantic cost over runs, an unsustainable expansion of Canada's railway network, the first world war, and a host of other factors led to the financial ruin of the GTP. 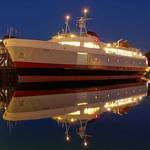 Its parent company also went down, along with the Canadian Northern and the National Transcontinental. The federal government picked up the pieces and assembled the Canadian National system. This remained a federal crown corporation until the 1990's. The Kitimat Subdivision is an example of northern BC trackage that originates neither from the GTP or BC Rail. It was built in the early 1950's by CN itself to connect the BC North line at Terrace with Kitimat, the new Alcan aluminum smelter, and tide water on the Douglas Channel. 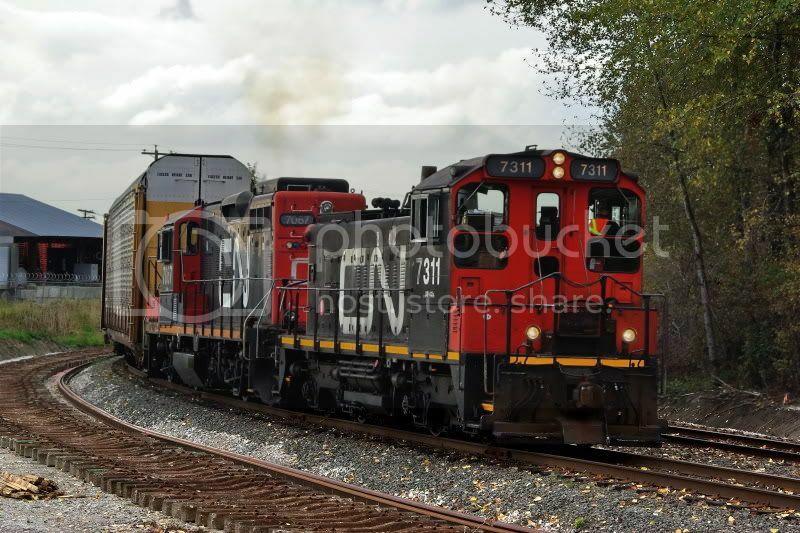 Today the Kitimat Sub sees one long train (~100 cars) each way per day. There is wood chip cars for Eurocan Pulp & Paper, petro chemicals for export through the ocean terminal of the Methanex company, and traffic for the Rio Tinto Alcan smelter. My mistake, I was thinking Grand Trunk Pacific, dunno why I put down western. BTW, are they still running only 4 axle power on the Kitimat Sub, or are the big units going down there now too? Yes, the tracks (and most importantly wooden trestles & pile bridges) were upgraded a few years back. There are no longer weight restrictions and big six axle locomotives are the norm. Often, I see ex BC Rail units numbered 46xx. The Kitimat sub has some pretty steep grades, unusual by CN standards. There is also faily tight curvature. I will get out and take some poictures one of these days. I am surprised that the biggest hills are right here too. I thought the Yellowhead pass would be the steepest. That's what I thought as well. I'd have to dig out my old timetables, but IIRC the steepest grade through the Yellowhead Pass is around 0.1% to 0.5%, the Lake City Hill is about 1.5% as is the Grandview Cut. 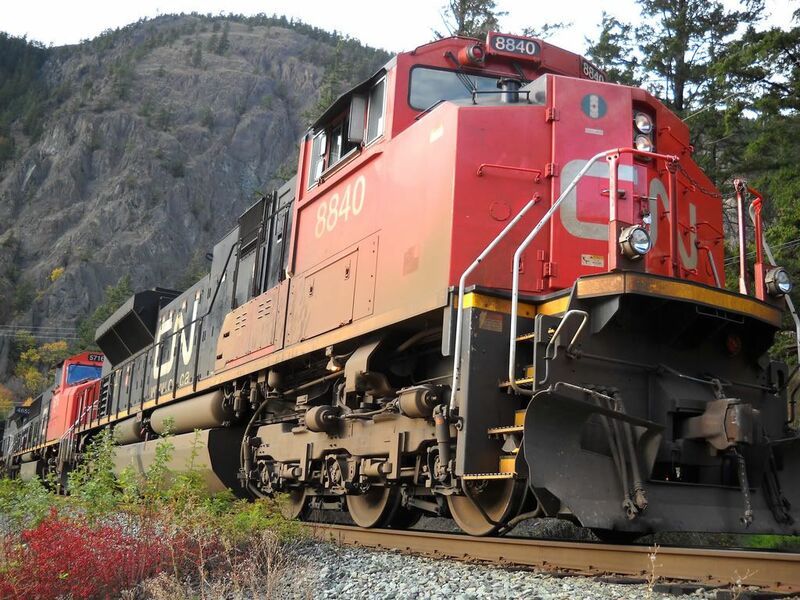 More than 3,000 Canadian National Railway Co. conductors, trainmen, yardmen and yard masters have decided to join the Teamsters Canada Rail Conference (TCRC). In a recent vote ordered by the Canada Industrial Relations Board, more than 95 percent of the workers — who previously were represented by the United Transportation Union — elected to join the TCRC. With the latest influx of members, the TCRC now represents about 125,000 workers. Of the 1899 UTU members that voted, 1809 voted to join the Teamsters. The Teamsters already represent locomotive engineers and rail traffic controllers for CN and all employees at CP. I got caught by the train twice at lunch and made me think how soon is this line going to close. I got back to my office and found this document. Still would like to know when this will happen though! It won't happen until the new line is built. Speaking from experience, almost every time I worked the job that goes out to Fraser Wharves we hit, or nearly hit someone at one of those crossings. Some of the crews refer to that part of the line as "Running the gauntlet". 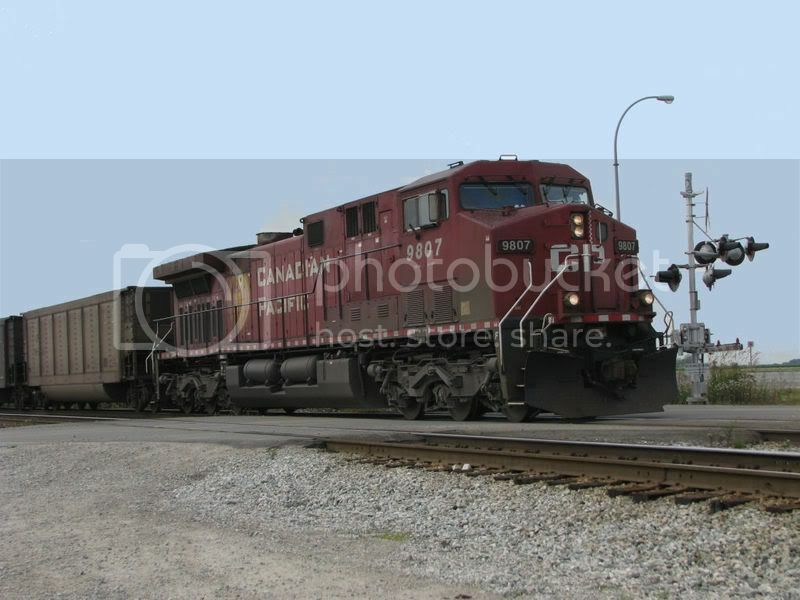 Here are a couple of photos taken a month ago on CN's Richmond branch just to the south west of BC Ferry's Deas Dock. 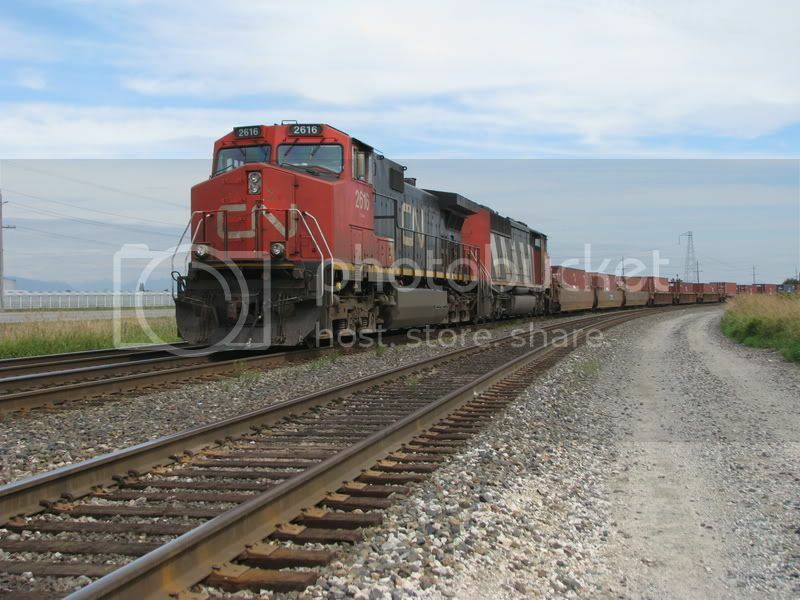 Both feature pictures of the same train moving auto racks around. The trackage here seems to be in the process of being expanded into a small yard. This might interfere with access to the back side of Deas Dock. Neat pictures. Interesting that they're adding 2 more tracks between No 5 Road and the Ferry crossing. I wonder if it has something to do with the extension of the Ewen Branch. That "Toyota Job" is a nice job. Build your train in the yard, go for a little road trip, switch Fraser Docks and a few other customers along the way and head back to the yard. Thanks for the explanations. That visiting monarch was not Queen Victoria. No reigning monarch (king or queen) toured Canada until May1939 when King George the VI th and his other half Queen Elizabeth (the current Queen's Mum), visited. Incidentally their royal train was being hauled by a Hudson type locomotive numbered 2850. The story goes that the King was so impressed with the engine's performance, that he permitted the CPR to henceforth call all locomotives in that class 'Royal Hudsons'. In the first three pics, is a spot where Queen Victoria apparantly stopped for afternoon tea when she and the King toured Canada. The spot was especially constructed for her. It's just east of Revelstoke and only accessible from the Mountain Sub. Queen Victoria never visited Canada. Intriguing speculation, for those who are interested in Royal history and railroad history. A 42-year-old Hamilton man is dead after being pinned between two rail cars at a Ford Motor Company plant in Oakville on Monday. You can see the rail cars lined up waiting for vehicles to be loaded on the car carriers at the Oakville Ford Plant. There is a batch of vertical very bright bar lights that illuminate the whole loading process. If the exact spot is where I think the accident took place, it is clearly visible from the Queen Elizabeth Way (QEW highway) where a rail line leads into various buildings for unloading parts. Ford is doing relatively well, and this plant builds the cross over vehicles for Ford and Lincoln. I am not sure about now but there are usually over 3,500 employees in this one plant. There is a lot of coming and going by rail and then also by trucks for more local deliveries. BC Rail Movements: August 2010. West Coast Express, Canadian Pacific, Canadian National, Amtrak, and the Rocky Mountaineer! CN 1003 crossing the Swan Creek trestle, with 2 grain empties, at Mile 1 of the Saanich spur. Derailment on the Cowichan Sub near Tillicum Rd. Corner of Hwy 1 and Tillicum Rd. 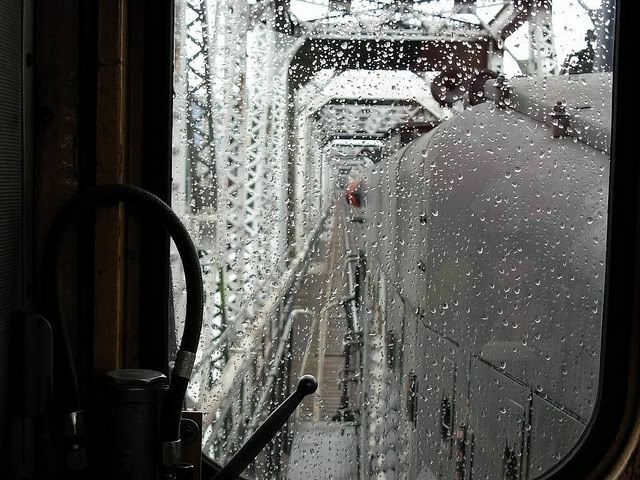 Heading over the Fraser River Bridge towards New Westminster on a rainy day. A Roberts Bank-bound coal train blasts through Ashcroft, BC. CP 9600 is about halfway back in the train, controlled by the engineer through Distributed Power. A Vancouver-bound doublestack train departing Revelstoke BC, with a CEFX 'Bluebird' lease unit in the lead. 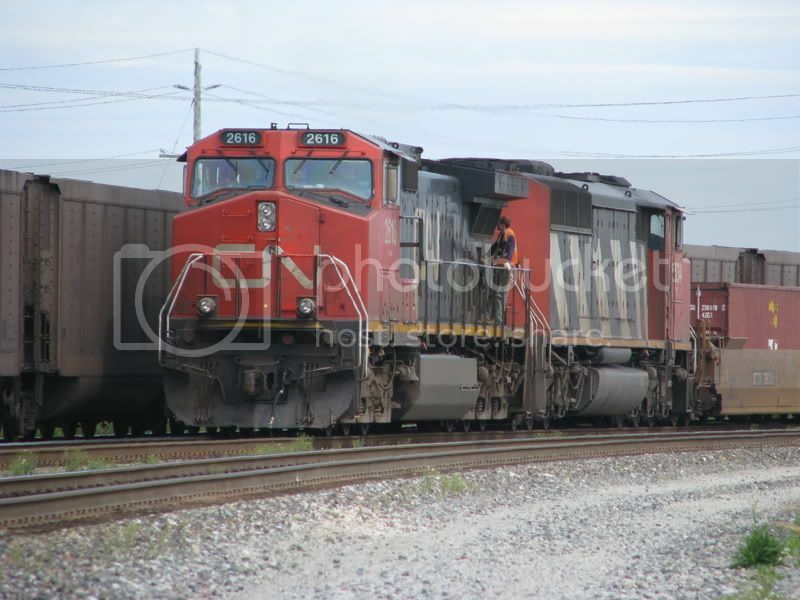 A CP train waiting in the Cranbrook BC yard with two Union Pacific SD90MAC's in the consist.